Choose your entertainment experience when you stay with us at Excalibur. Specials to see two Excalibur or Luxor shows, enjoy 3 attractions or indulge in dinner & show offer to create the ultimate Vegas experience. Tickets for this promotion are available for purchase at the box office only. Visit any Excalibur or Luxor box office and mention the Pick Two Entertainment Special! Offer valid for one ticket to two different shows. Tickets are not available for purchase online or by phone. 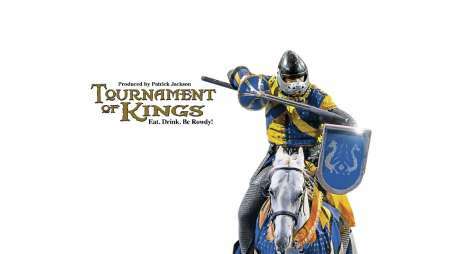 ** See Blue Man Group for $15 more or Tournament of Kings for $10 more. * All bags are subject to search. Backpacks, luggage or like items are strictly prohibited in the show room.